It’s still happening. 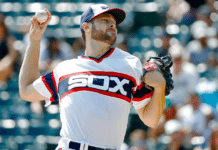 According to White-Sox Twitter the White Sox are targeting every player in free agency, as they should be. But let’s face the facts: Bryce Harper and Manny Machado top the list of free-agent players the Sox will passionately woo. 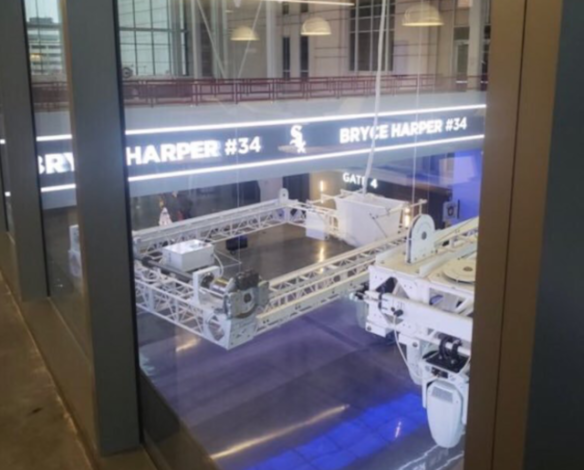 Around lunchtime on Thursday, a tweet from inside the United Center surfaced that included a snapshot of a banner with Bryce Harper’s name in black and white with the number 34. The tweet also shared that a Harper jersey was placed on Michael Jordan’s statue. 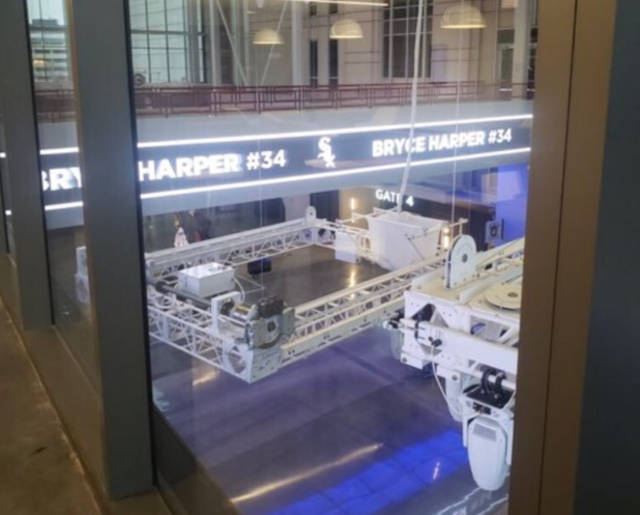 It doesn’t appear Harper has made a decision yet, but he seems to be on his way to Chicago and according to 670 The Score, Harper will be at the Hawks’ game tonight. 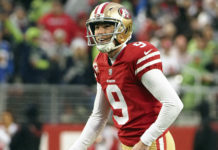 Harper’s agent Scott Boras did a lot of chinwagging on Wednesday and tossed in a few turns of phrase to spice up the narrative around Harper’s free agency. But one thing he ominously mentioned was his disgust for the lack of competitiveness around the league. “One thing we wanted to address is the competitive cancer that’s dominated our game, what we saw teams doing that were what ownership felt was positive for the game and positive for the franchise,” Boras said. “And some of the information that we’ve collected is that the fans of baseball have clearly rejected this voluntary approach that owners have made to where they’re not competitive. We have 17 teams in baseball where the attendance has declined, 17 out of 30. We had six stadiums where they had the lowest attendance in their stadium’s history. “We have teams that have responded and responded appropriately. The Cleveland Indians have retained their players. The Cleveland Indians have signed free agents. The Cleveland Indians have won their division, they’ve been in the playoffs regularly. They’ve done a lot of things right. But the Cleveland Indians are in a division of non-competitive teams. And as a result of that, despite the fact that they are a franchise doing a lot of right things for their fans, they’ve had a decline in attendance. And the reason is that in their division, the mystery of the game is lost because of non-competitive teams. And we do not have fans responding to a franchise when a franchise is doing what it should be doing, and because of noncompetitiveness throughout the division, they don’t show. 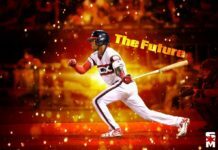 Proselytizing aside, Boras is known to grandstand and if Harper wants to sign with an immediate contender then Bob Nightengale’s prediction for Harper’s final destination falls well out of reach. And given the pattern of competitive windows within the league, Harper signing with the Astros, Yankees, Red Sox, Cubs and Dodgers would leave the second half of his contract relegated to the sad state of rebuilding. Yet, I can make an alternative argument that such a move would make sense, but I digress. The fact is Harper will sign with the highest bidder and he has already been strongly linked to the White Sox and Phillies. 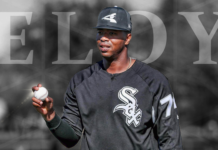 Machado is a better fit for the Sox at the moment, but if Rick Hahn can net Harper with Machado (and he can) I think Rick Renteria will find a spot in the lineup for him. So roll out the red carpet, Chicago. Harper is in town.